Jasprit Bumrah offered an insight into his daily routine and fitness regime as he revealed that he does not talk about cricket when he is with friends and family. Bumrah, who was rested for the New Zealand tour, is expected to return to the limited-overs team for the home series against Australia. Indian pacer Jasprit Bumrah enjoyed a fast-tracked promotion to the Indian senior cricket team after impressing with IPL franchise, Mumbai Indians, during the 2013 season. Since then, the 25-year old youngster has gone from strength to strength having established himself as a mainstay in the Indian limited-overs team under the leadership of Virat Kohli. 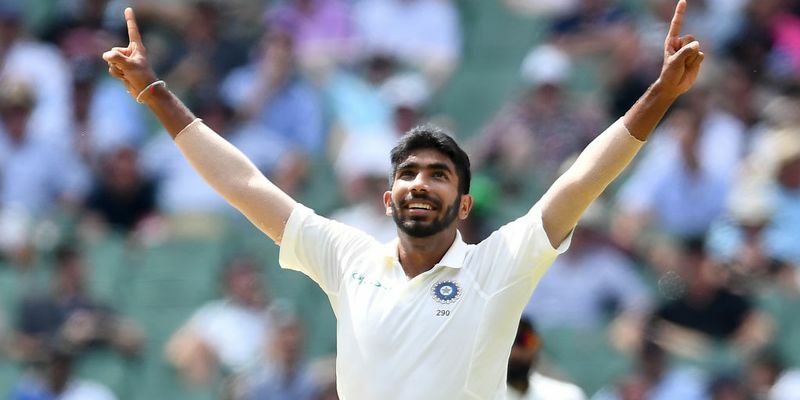 However, in a recent interview with Cricbuzz, Bumrah revealed that he has made a lot of changes to his daily routine and diet plan in order to ensure success at the international level. "As a bowler, I've come to the realisation that no action is perfect. Tell me a bowler who's not been a victim of injuries. Some have suffered more, some less. But that's part of the game and especially in today's times when there's so much cricket to be played. When you bowl in a certain manner, your body adapts. Then to become stronger, stay fitter, you've got to keep putting in that much effort. International cricket is hard work. It requires constant innovation and training," Bumrah said in a recent interview with Cricbuzz. The MI pacer also added that despite the continuous pressure to perform well, he does not talk about cricket when he is around his friends & family. "Music. In my case, that helps me a lot. And yoga. Once I'm off cricket, nobody gets to know where I am, what I'm doing. When I'm with friends, family, we don't talk cricket and that, I've realised, is important too. Not talking about cricket is as important as talking about cricket. You need to switch off in order to switch on," Bumrah added. Bumrah, who is the top-ranked ODI bowler, is often under criticism for his unorthodox action while bowling. However, the Gujarat-born bowler claimed that he does not pay much heed to what is said in the media and relies on his own gut feeling. "I heard some of those opinions. I didn't take them seriously then, don't do that now. I take very few people seriously in my life. As a child growing up, I had a different action and people didn't waste any time telling me that. I used to be inundated with suggestions on what I need to do and don't. I didn't listen to any of that. Never. It's not like I don't listen but what I do know is that at all times, I've got to find a way out on my own. "That has given me a lot of self-belief - the idea of going and finding a way on my own. When I'm low, it is the same mindset that helps me today. Backing yourself is the best an individual can gift himself," the pacer added.